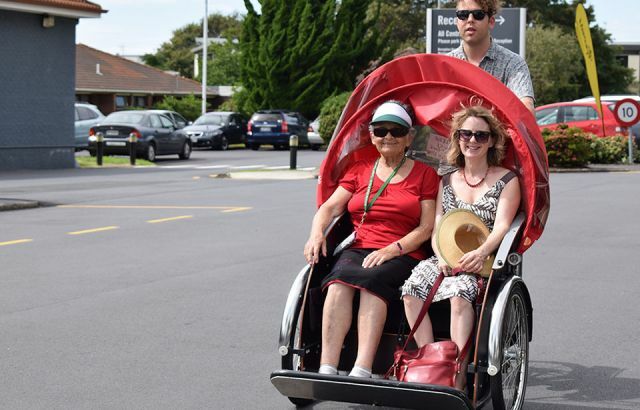 An international cycling campaign is showing Selwyn Village residents that ageing doesn’t have to stop you from exploring the city with the wind in your hair. Established in Denmark in 2012, Cycling Without Age (CWA) aims to get elderly people who are less physically abled out and about on trishaws. Trishaws are specialised electric bikes that seat two people in the front while a volunteer "pilot" pedals from behind. 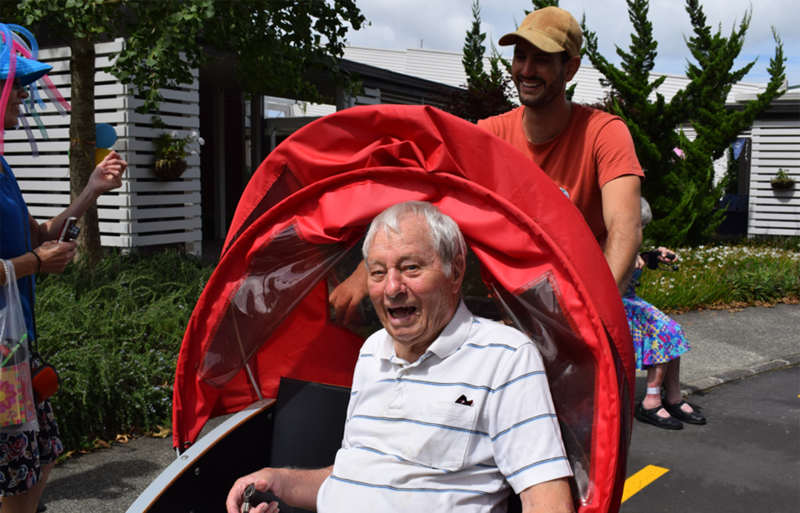 More than 30 Selwyn Village residents went for a spin around their community during a bike carnival held at the Point Chevalier retirement home on Sunday. CWA founder Ole Kassow wanted to use social cycling as a way of minimising the harmful consequences of social isolation many elderly face each day. Selwyn Village resident Joan Monkton, 74, had never ridden a bike before and loved the freedom and thrill of it all. “It just gives you another interest in life when you’re not getting out yourself,” Mrs Monkton says. Social isolation among elderly is a prevalent concern in New Zealand. An Age Concern survey in 2017 found there are more than 60,000 severely lonely elderly people across the country. 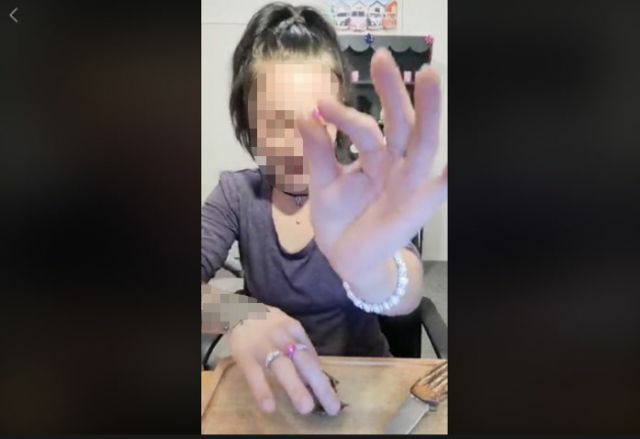 And the effects are serious, says Merryn Gott, 44, author of End of Life Care for Older People and a nursing professor at the University of Auckland. “There is research to show that loneliness has an equivalent impact on mortality as obesity and smoking. There are also known associations between loneliness and depression, at the most extreme, loneliness can result in suicide,” says Dr Gott. 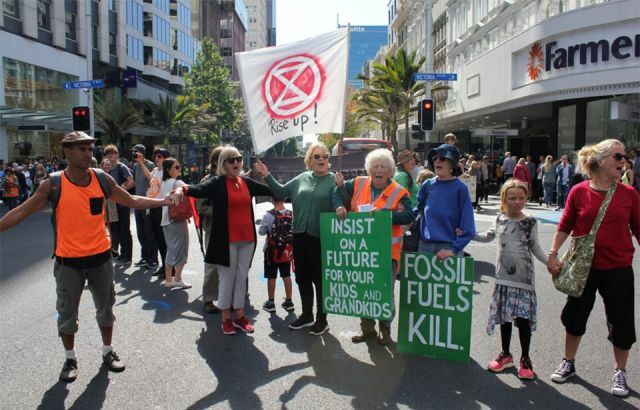 The CWA campaign has already pedalled across 37 countries, with more than 10,000 volunteers and 50,000 elderly people reaping the benefits. “Overseas this program has shown to help reduce people’s medication rates, improve mental health and improve connection,” says Ms Rasmussen. "We are really striving to get it established here permanently." 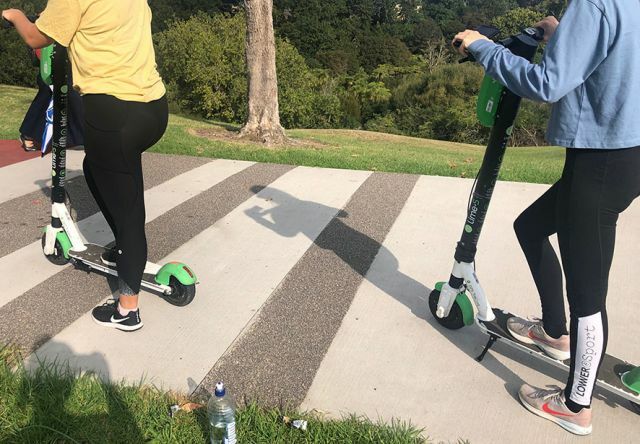 Are Auckland bike paths really accessible for all ages?